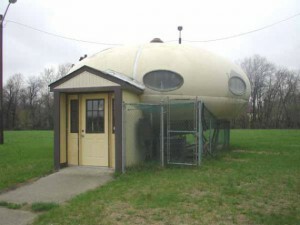 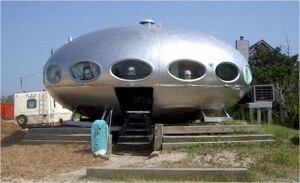 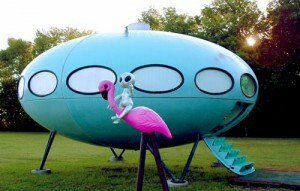 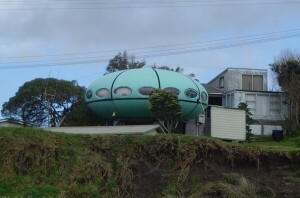 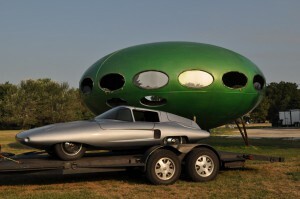 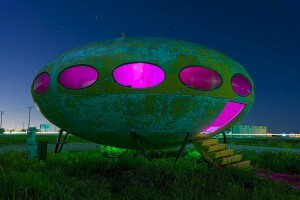 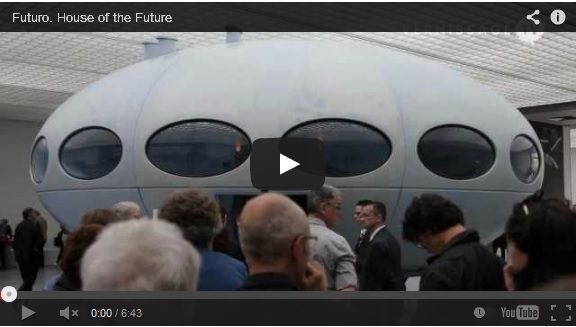 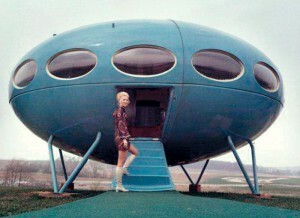 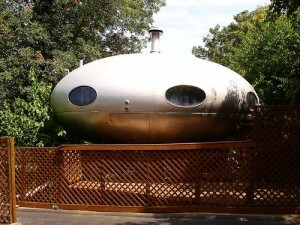 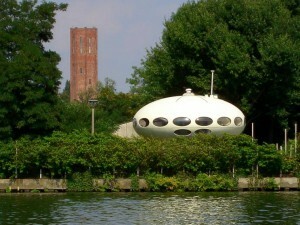 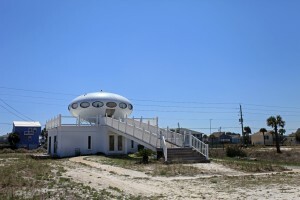 What you are seeing is surprisingly not a space ship, but a portable home. 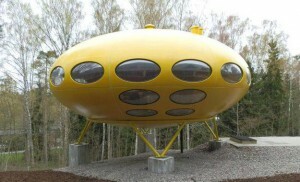 The Futuro is a prefabricated space aged design vacation home constructed in the late 1960’s early 1970’s by Matti Suuronen. 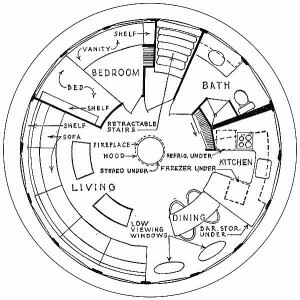 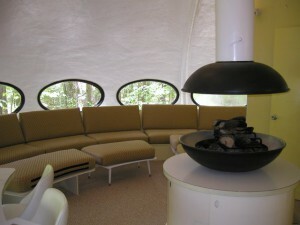 The round design improved energy efficiency and optimized livable space, boasting that it could accommodate up to 8 comfortably. 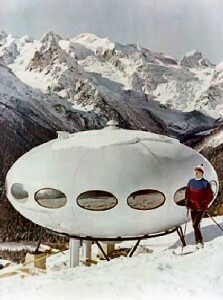 The fiberglass plastic composition made it lightweight enough to feasibly transport. 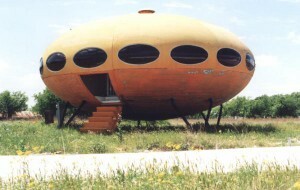 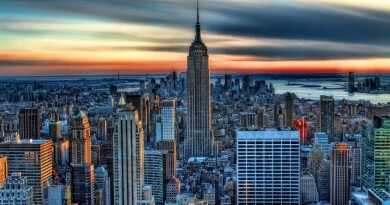 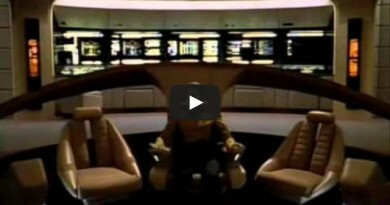 With less than 100 actually being constructed, the round space age design has not been openly accepted by all. 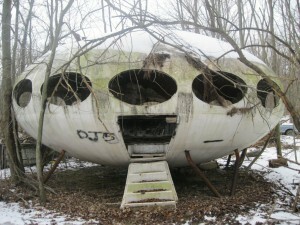 Several units have endured vandalism or have been demolished as a result of public opposition. 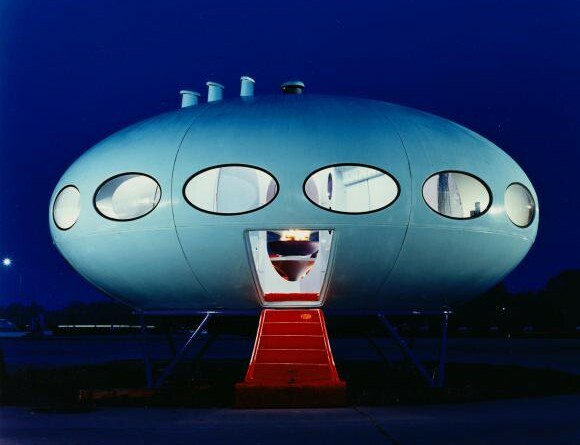 Construction on these beauties stopped in the mid seventies because the oil crisis increased the cost of plastics to the point where manufacturing costs exceeded the profit margin. 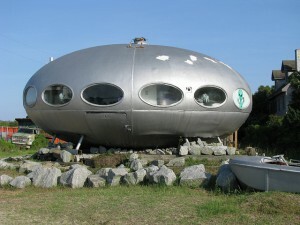 It is estimated that only around 50 units are still around.